We are not a big organization with a lot of money. Actually, we’re lucky to have any money at all in the bank. Yet the well seems to fill up and a few years back we wanted to give some of it away. We decided to offer a Gratitude Award of $500 to both an individual and an organization who we feel are deserving of some appreciation. No one can apply for it, the award is at the discretion of the board. ​Jeff aka JB Bryan and Cirrelda Snider-Bryan were 2017 winners of the Poetry Gratitude Award, the ninth year of this award which is one of the gems of NMLA. Oddly, JB was on the board at the time of its conception. 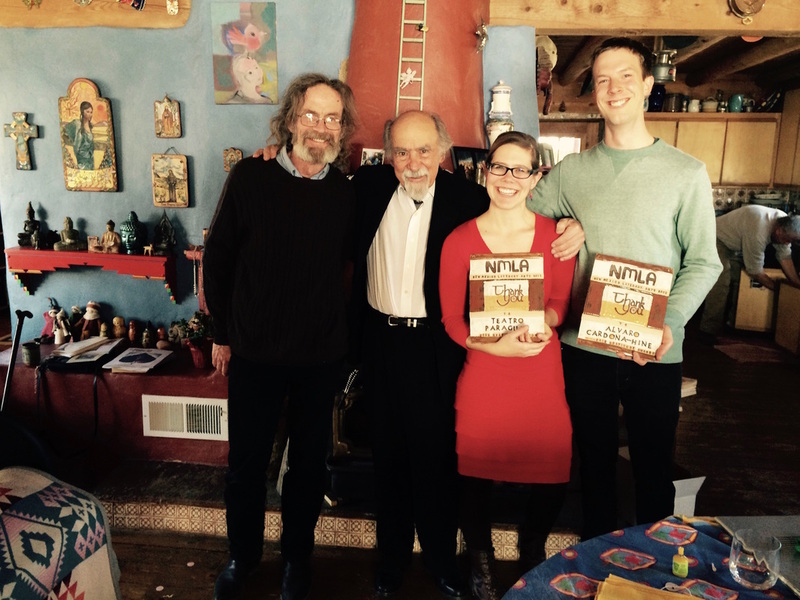 Not until he retired from our board could we thank him, and also Cirrelda, for the endless and exhaustive gifts they gave to poetry in the southwest, both in the form of La Alameda Press and their personal showing up and giving their all. We like to honor an individual and an organization, and they are both. JB did the La Alameda editing and book design, and Cirrelda was right there keeping the press vital and vivid, shipping, reading manuscripts, and she helped me with issues of translation for my book Sofia. Each book a gift of beauty in its design. I have them lined up on the shelf in my home. The covers alone reflect the aesthetic that we miss as JB has gone on to other venues, less type face and more constructed. I love these two, and it was love at first sight when their child CB was an infant and we all had Greek food in Albuquerque. The whole board delighted that we could honor this couple in this way, the only good thing about JB retiring from the board from my perspective. Not that we aren't happy for him and grateful for hie decades of service. Nobody says to a small press person, "Thank you for your service" but we should. And with this Gratitude Award we do. 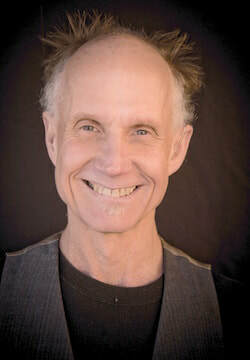 Tony Hoagland's fifth and most recent book of poems, Application for Release from the Dream, was published by Graywolf Press in 2015. His next collection, Priest Turned Therapist Treats Fear of God, is scheduled for publication in 2018. His collaboration with Martin Shaw of translations from Anglo Saxon and Celtic literature, titled Rough Gods, will be published in 2018. He has published two collections of essays about poetry. He has received the James Laughlin Award, Mark Twain Award from the Poetry Foundation, the Jackson Poetry Prize, and the O.B. Hardisson Prize for teaching. He teaches at the University of Houston and elsewhere, and lives whenever he can in Santa Fe with his partner, the writer Kathleen Lee. 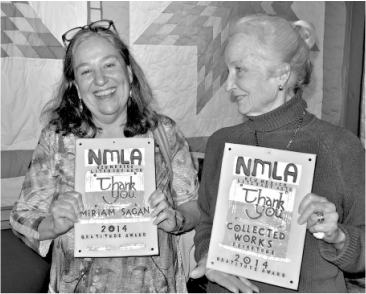 Miriam Sagan has been a generous soul since she moved here in the mid 1980's. I first met her at Burnt Horses Bookstore in 1985. She was there with haiku poet Elizabeth Lamb. That she befriended Elizabeth and went on to edit a collection of Elizabeth's haiku posthumously is just one example of how Miriam moves through the poetry world. It is with a spirit of joy and generosity that she has taught, created a vibrant creative writing certificate program at Santa Fe Community College, The Santa Fe Literary Review, and nudges so many students into a life in writing. She has personally inspired me over and over, her Santa Fe Poetry Broadside with the late Miriam Bobkoff, her blog Miram's Well, poetry posts at SFCC, collaborations with photographers, ceramic artists, sculptors, and with Renée Gregorio and myself to create Tres Chicas Books. She weathered the early death of her husband, Robert Winson, who was himself a force for community in music and poetry, the editor of FishDrum magazine. Larry Goodell was born in 1935 in Roswell, New Mexico, where crossing cattle trails meet the Pecos River. 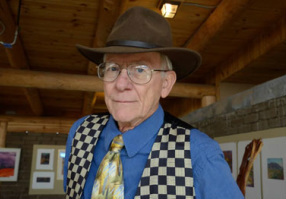 He is married to Lenore Goodell, photographer & phenologist, and has lived in Placitas since 1963, extending poetry into its ceremonial roots – performance, masks, costume, lighting, song, scene, with cloth or painted backings to poems when appropriate. Although tagged as a performance poet since the early 60's he loves the printed page and founded Duende Press in ‘64. His writing comes from the myth of local inspiration, and often generates from organic gardening and love for New Mexico. He is a risk-taker in language who avoids revision considering the hand written original as precedent. His work is often satirical and seriously funny. Books: Cycles, 1966 (duende press), Firecracker Soup, 1990 (Cinco Puntos Press), Here on Earth, 1996 (La Alameda Press). 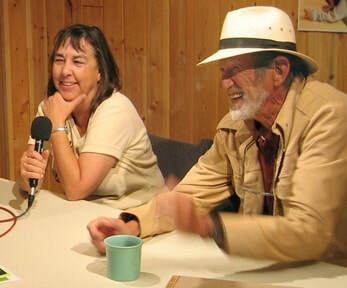 Larry has also been an integral force behind the Duende Poetry Series at the Anasazi Fields Winery in Placitas. His online work is on the move, see http://about.me/larrygoodell for interviews, articles, numerous poems, plays, songs and blogs. Anne MacNaughton originated Taos High School’s award-winning Poetry Slam Team — the first one in the nation specifically for teenagers — and established the very first State Championship Poetry Slam for secondary students. She continues to work with youth through workshops and mentorships. Along with the poet Peter Rabbit and eight others, she co-founded S.O.M.O.S., the Taos Poetry Circus and the Poetry Education Project, later creating the spin off non-profits Minor Heron and The World Poetry Bout Association. She still produces poetry shows through Lucid Performance, a company she started with Rabbit. Peter Rabbit was a mover and shaker in Taos Poetry, producing and initiating many events. His home was a hangout for poets obscure and renowned. 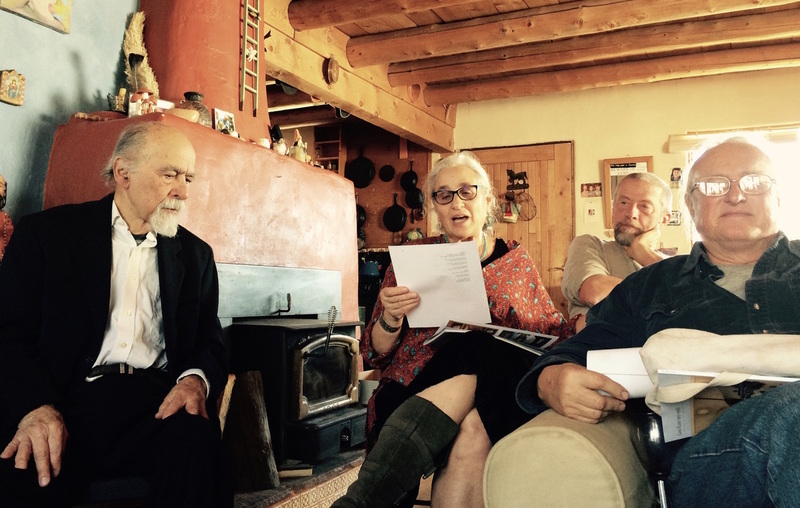 Mary Mcginnis is the godmother of poetry groups in Santa Fe and the force behind the annual International Women's day poetry reading.